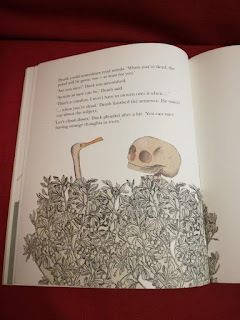 Let's Talk About Death: A doctor and an author review picture books about death, by Juliet Clare Bell and Dr Sarah Mitchell, GP. Dr Sarah Mitchell (GP) and I met through our professional interest in bereavement. I was researching for, and writing, a fictional picture book about child bereavement, and Sarah was conducting doctoral research on palliative care in children. 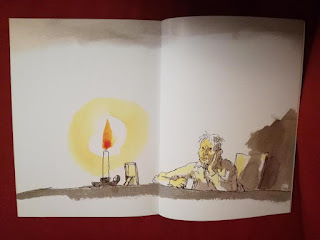 We were both keenly aware of people's reluctance to talk about death -within medical settings and in society in general, and we both wanted to encourage picture book use as a way to talk about what, for so many people, can be a difficult subject to confront. 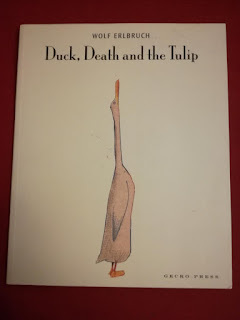 Through many searches and leads, we tracked down all the picture books we could find about death and bereavement (including self- and charity- published books, and from many different countries -although only ones that have been translated into English). We found more than forty and from these, we came up with a recommended list of twenty one books (that at least one of us recommends). Our final selection from all the books we were able to find. Sarah, welcome to the blog. 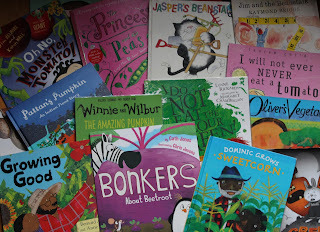 Given our different backgrounds, we've chosen books for slightly different reasons. Can you tell us how you made your choices? Sarah, GP: Yes, my choices are practical in order to help bereaved and pre-bereaved families, and other GPs (in order for them to help bereaved and pre-bereaved families). Even when there were additional books that I liked, the ones I’ve chosen here are those I’m most likely to talk to patients and families about during my work as a GP. As with everything I do in general practice, any recommendations would be tailor-made to the person and family I am speaking to. Some of these books are very sad and hard to read. But what they have in common is a story of hope, that the pain experienced through a bereavement is normal, and that it can get better with time. 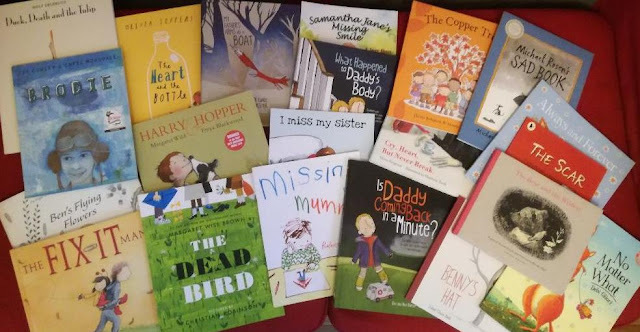 Clare: We're going to include these books first in order to make it as practically useful to bereaved and pre-bereaved families and children as possible, and for other doctors and bereavement practitioners who may be interested. I, too, chose each of the ones you included (though sometimes for different reasons). But I've chosen some others, too. There are some wonderful picture books that explore death and I feel that it would be extremely beneficial for these books to be much more widely shared (some with careful parental or adult supervision) with young people who are not bereaved but who may later find death and bereavement less frightening and isolating when they are inevitably confronted with it at some point. If reading these books encourages discussions about death that feel safe rather than terrifying then we as a society and as individuals will do better when dealing with our own bereavements and reaching out to others who are bereaved. Sarah, GP: I agree. Death and dying are subjects that most of us would rather avoid. The emotions that they bring are tough to face. But death affects us all, and in my work as a GP I frequently witness the impact it has on those who have been bereaved or have a loved one who is dying. When a patient comes in to a GP’s consulting room, it is rarely immediately obvious that the reason for their attendance is the distress associated with death or bereavement. But if we are in a position to take the time and make the effort to look beyond whatever physical symptom is presented, the headache, or the vertigo, or the abdominal pain, we will frequently find death and bereavement lurking in the background with all of the emotions that they bring. GPs refer to this as “the hidden agenda”. In my experience, the consultation is most effective once the hidden agenda has been found. Only then can we respond in a way that is the most therapeutic and responsive to the patient’s needs. What can be difficult is that there is no easy fix – we cannot prescribe a drug that will relieve a person’s distress related to a bereavement; there is no surgery to take away the part that hurts. What we can do is listen, and if we are able to provide resources to patients and family members, these can be useful not only for people who wish to discuss death and bereavement with children, but also for people who are struggling with it themselves, encouraging reflection and discussion that may otherwise be hard to address. Is Daddy Coming Back in a Minute? by Elke and Alex Barber and Anna Jarvis (Jessica Kingsley, 2016). 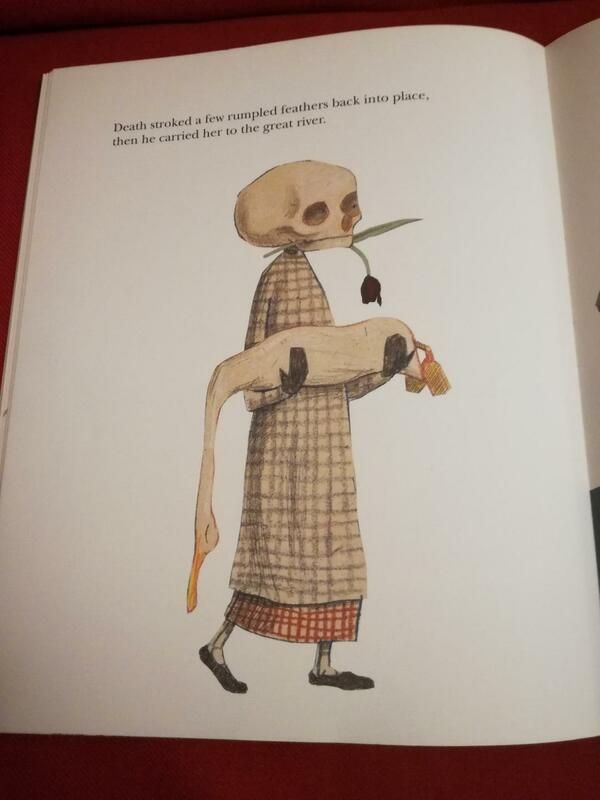 which provides a practical account of funeral customs and rituals to help children to understand. Clare: I feel that Is Daddy Coming Back in a Minute? is so needed. 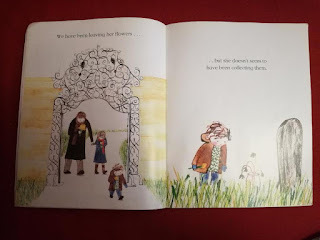 It’s an incredibly frank retelling of the death and what happens after, but the frankness is set within the context of such love between the mother and her child that the book feels extremely comforting at the same time. It’s beautifully written and illustrated and I suspect it’s one that a parent will read many times with their young child after a bereavement. 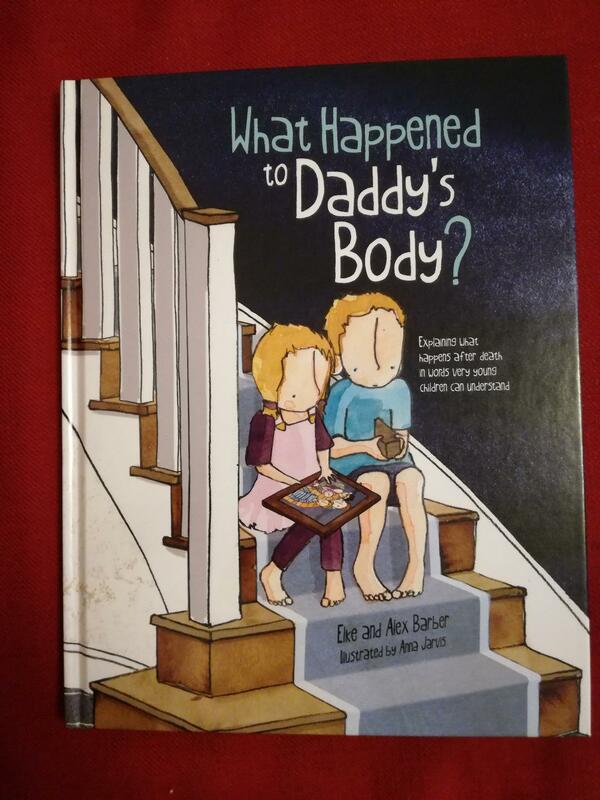 And what I really like about the follow-up, What Happened to Daddy’s Body? is that the practical account of what happens (which is so honest and straightforward) is set against a backdrop of Alex’s life. The end of the story takes place a couple of years after his father’s death and we see that his mother is now with a new partner who “is not my daddy, but he is very funny and I like him a lot”. We see the new blended family as an accepted thing without it being a major part of the story. The Scar by Charlotte Moundlic and Olivier Tallec (Walker, 2011). 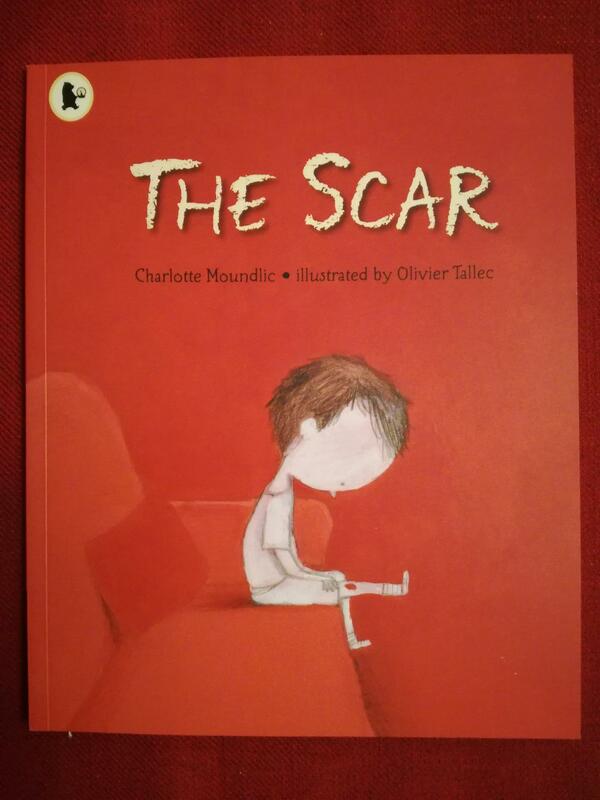 Sarah, GP: The Scar provides an account from a child’s perspective of the emotions experienced while his mother is dying and after she has died, including sadness, anger, worry and abandonment. He tries very hard not to forget his mother and feels both physical and emotional pain. One day he falls over and grazes his knee, and hears his mother’s voice comforting him, so he keeps scratching the graze to prevent it from healing. As long as there is blood he will hear his mother’s voice. When Grandma comes to visit, she explains that Mum is still in his heart which he can feel beating. In time the pain becomes a bit less bad, and the scar heals. 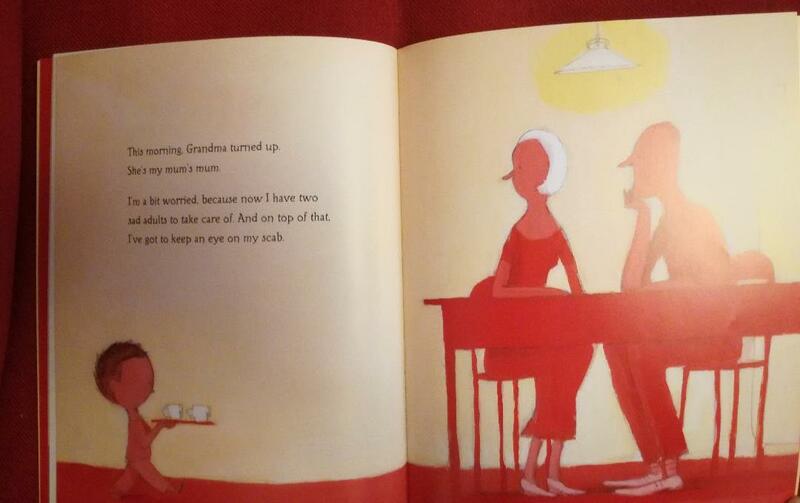 The book is illustrated mainly in red, reflecting the blood and the distress the child experiences. Clare: I love this book (translated from French). 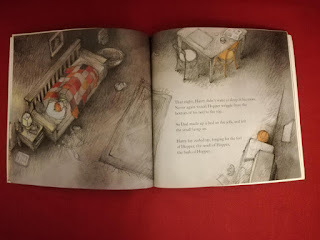 With just three characters (the boy, his father and his grandmother) illustrated throughout the book, with a very reduced –but bold choice of- colour palette by the wonderful Olivier Tallec, and with the story told first person present tense, this feels very intimate, and again, full of love. 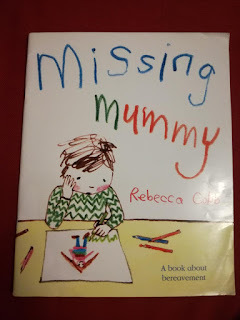 Sarah, GP: Missing Mummy is a shorter, concise and emotional story of the sadness, anger and worry that can be experienced by young children following the death of a parent. 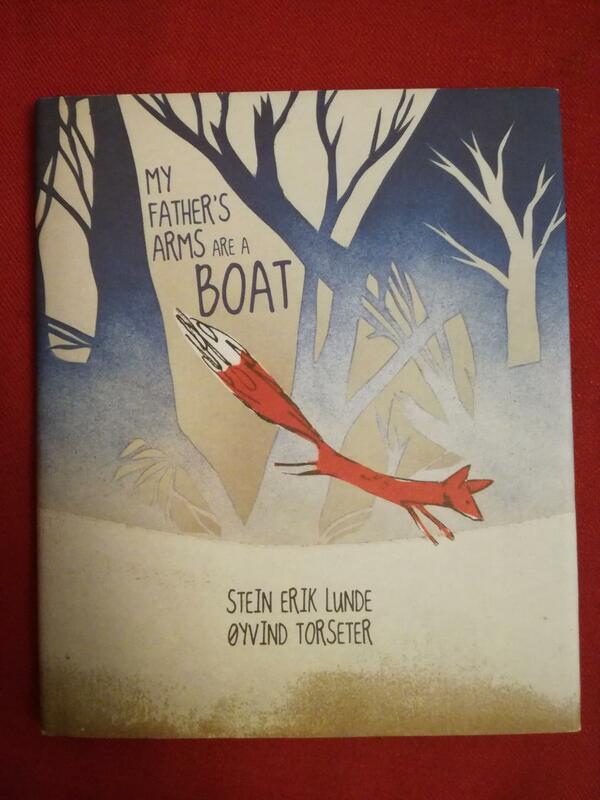 Told from the perspective of a young child whose mother has died, it addresses the permanence of death and that the child must not blame him or herself. 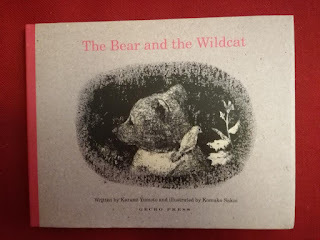 Clare: The child in the story is very young and the book appears deceptively (though beautifully) simply written and illustrated. But it is really powerful in what is said and not said by the child (once again, as with all the books mentioned so far, it’s told from the first person). Sarah, GP: Dad is good at fixing things, but Mama is very unwell and not “fixable”. 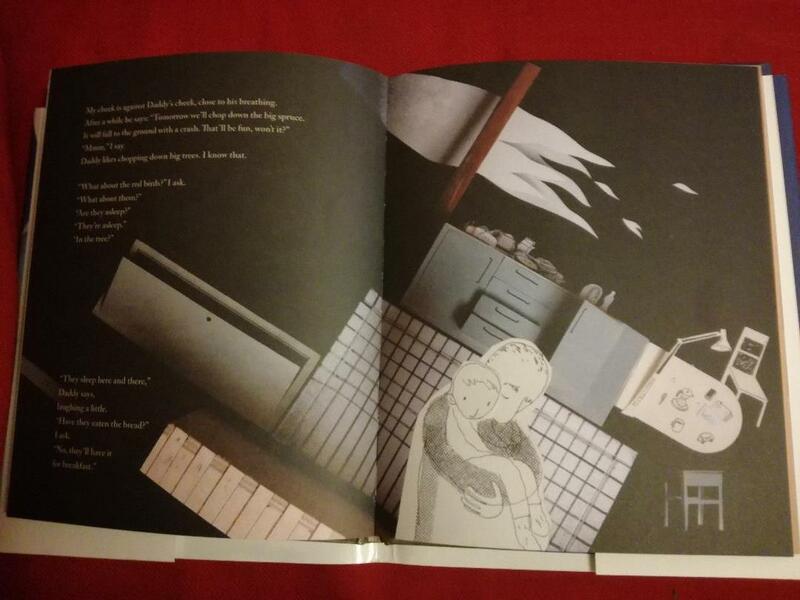 It’s beautifully illustrated with pictures of family life with Mama at home, and later in bed as she is dying. It is incredibly sad when Mama dies, and the pages of the book become dark and gloomy. The daughter worries that her dad is breaking. She has a teddy bear called Tiger who is also broken, but who in the end Dad agrees to help fix. 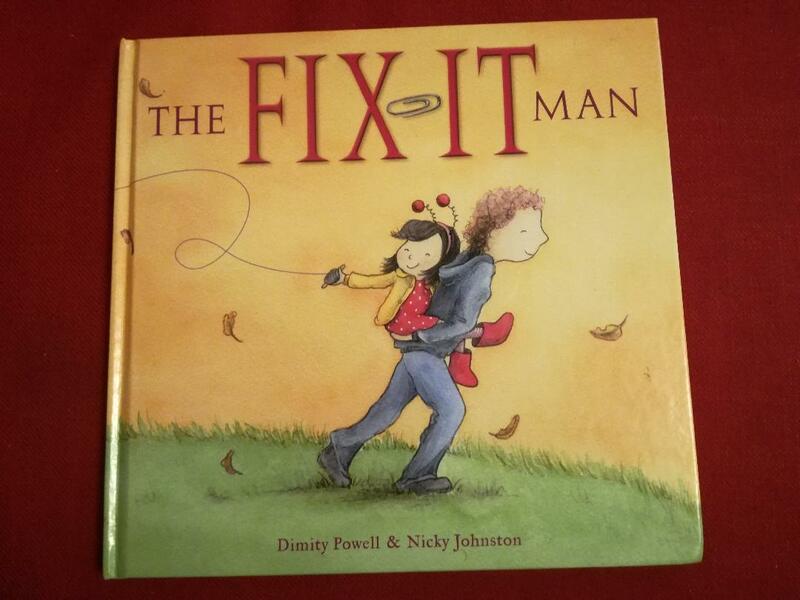 As they start to fix things together again, the illustrations become more colourful. Clare: This is a very recent Australian book that I’d never come across on sites about bereavement but I found recently on a Twitter search. I felt that it cleverly focuses on the relationship between the daughter and her father although we can see her mother in the background clearly still a part of a loving relationship between the three of them. It’s beautiful (the text and the pictures) and uplifting with love bursting through each page, even during a time of desperate sadness. 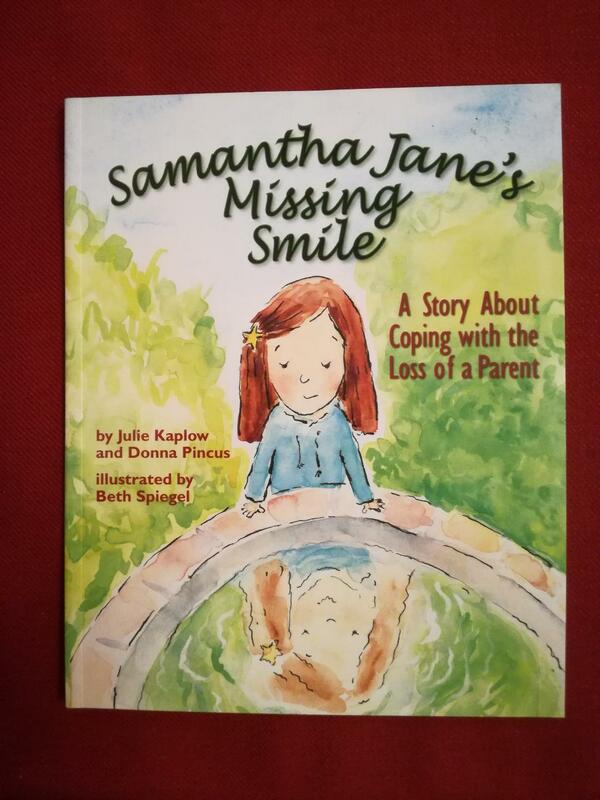 Samantha Jane’s Missing Smile by Julie Kaplow and Donna Pincus and Beth Spiegel (Magination Press, 2007; part of the American Psychological Association). Sarah, GP: Sammy Jane’s father has died and she has stopped smiling. Her neighbour, Mrs Cooper, encourages her to come and pick berries in the garden as she has always done, and tells her that crying is ok. They use a twig floating on a pond to demonstrate how if we try to push feelings down, they rise up again. Mrs Cooper and Sammy write a letter that helps her to talk to her mum about the way she feels. The book is written by bereavement practitioners and published by the American Psychological Association and includes practical notes for parents. Sarah, GP: Death comes to the house where the children live with their grandmother, who is dying. The children try to keep Death away from her through the night by offering him coffee. In order to help the children understand why their grandmother must die, he tells a story about Grief and Joy, and Sorrow and Delight, how they couldn’t live without each other, and how the same applies to life and death. The children aren’t sure they have fully understood but somehow know that Death is right, so are able to say goodbye to their grandmother. 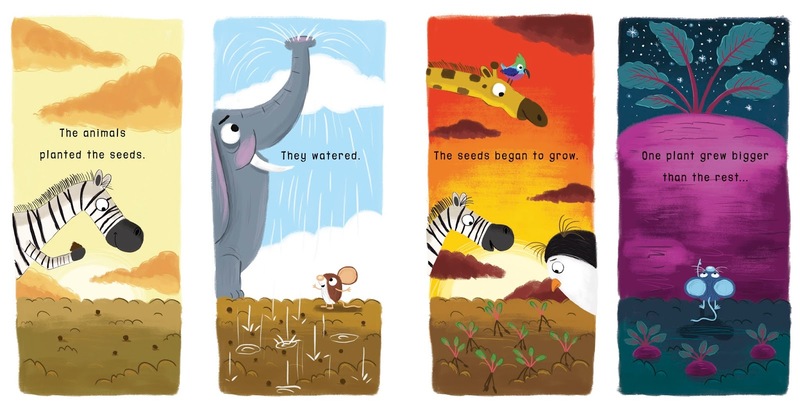 The book is accessible to children of all ages. 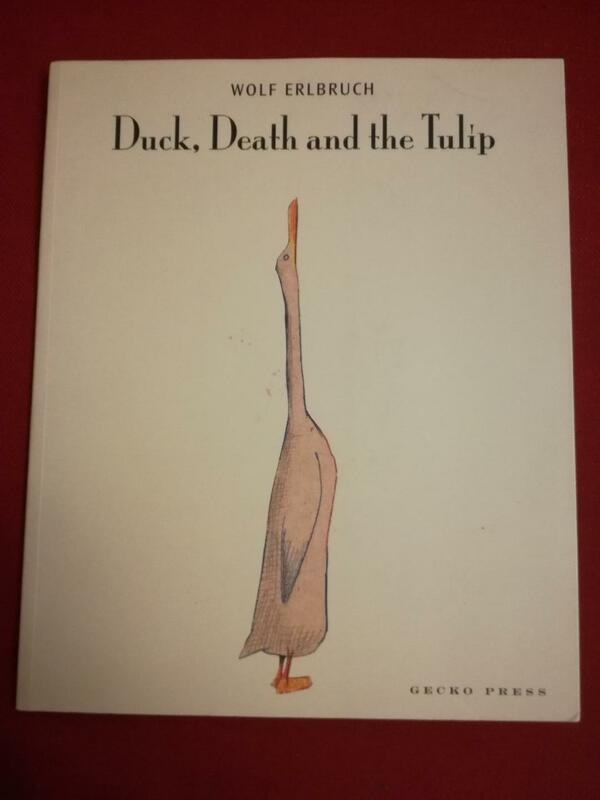 Clare: I chose this book, too, but as a general book about death that I felt would possibly appeal as much (or more) to adults as to children. But I know that you’ve also used it successfully in discussions with non-bereaved children of mostly junior age (eight to elevens). Dr Sarah: This is a useful book for very young children. 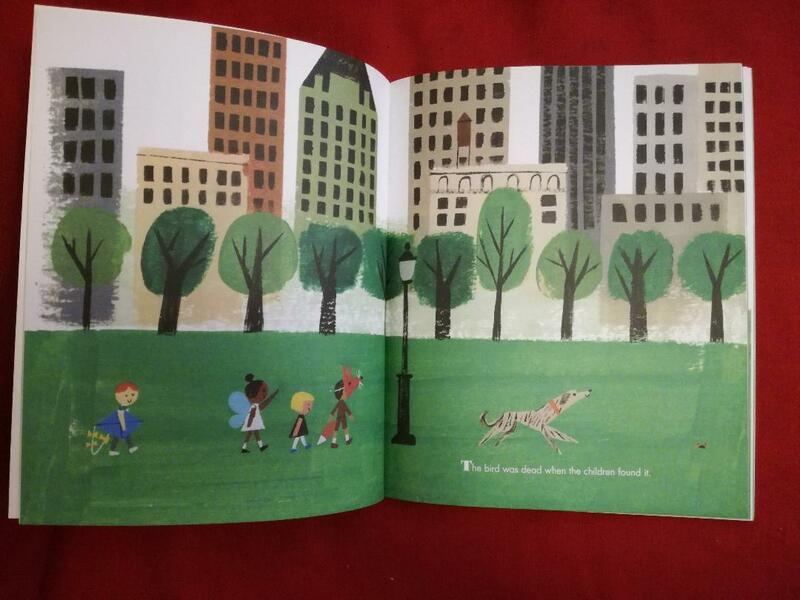 Otter, Mole, Fox and Hare are a happy family, but Fox gets old and dies. The others experience sadness but are eventually able to think about all of the happy things that help them to remember Fox. Clare: I agree. I chose this, too, but again, for the general section. It’s one of the few books with anthropomorphised animal characters that we chose (four of the twenty one books). What I like about this one is that it feels very human. The family (made up of different animal characters) live in a house and do human activities, and they are essentially human. 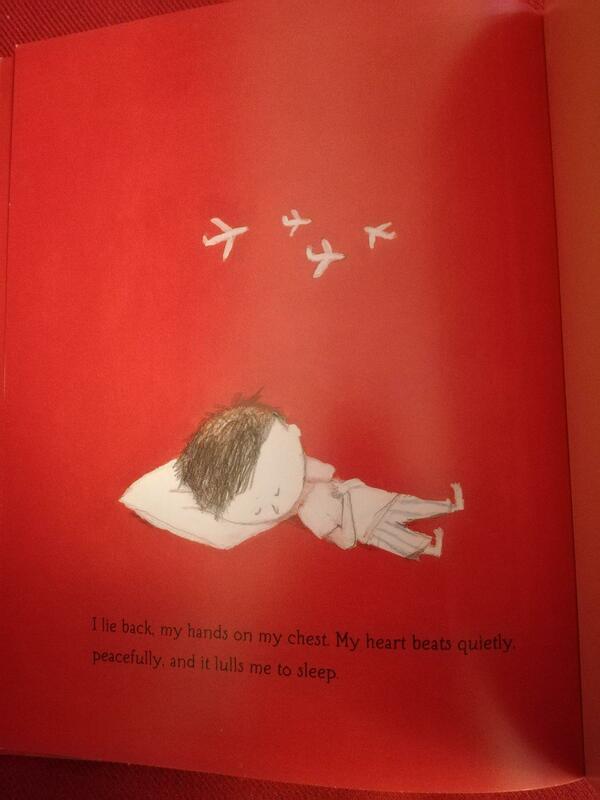 So this is a gentle way of approaching bereavement for young children. 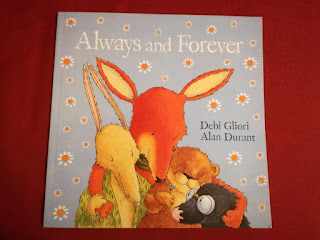 This book works in a way that is useful for children whether or not they have been bereaved, and Alan Durant and Debi Gliori fill the book with love and comfort, even when dealing with tricky subjects. Sarah, GP: Benny is a big brother and the book is written in the voice of his younger sister, Friz. She realises Benny is becoming ill when she starts to beat him at arm wrestling. Benny has to go to hospital but he still loves the things he used to love, including the rain. He becomes increasingly unwell, weaker and in the illustrations, loses his hair. Mum and Dad are tired and there are times when Friz feels ignored. The hospital visits become more frequent, it becomes clear that Benny is not going to get better, and then he dies. 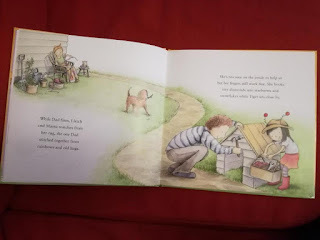 The book includes details that I have not seen in other books, including Friz’s tactics to cope with Benny’s deterioration, and the symptoms and signs that he is dying. 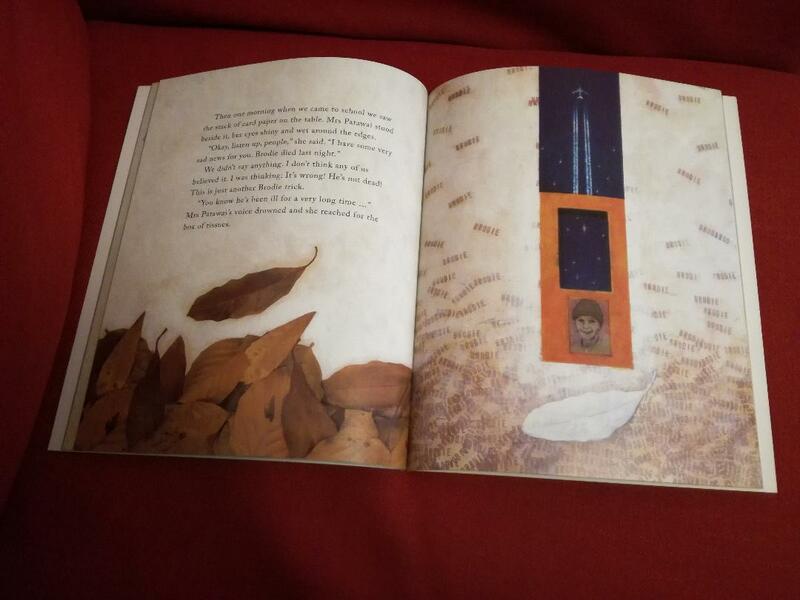 The book also includes a children’s hospice, where Benny goes to stay and where he eventually chooses to go to be cared for at the end of his life, and there is a description of his funeral. 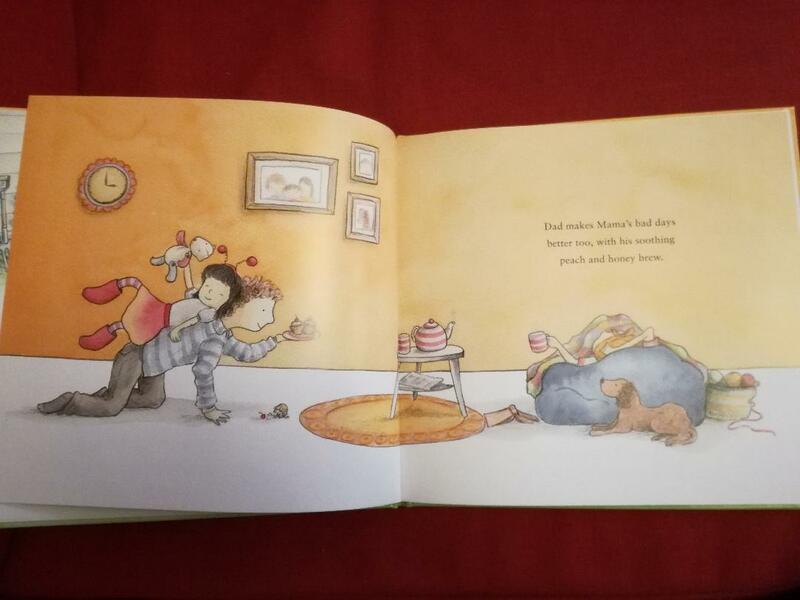 The anguish that the family experience is clear in both the words and the pictures. Clare: We were able to be more open about aspects of dying and death than some traditionally published books because we'd received Arts Council Funding to research and write the book. The application was based partly on the fact that it would free us up to create something more open than might normally be published traditionally about death. And we got a lot of feedback from bereaved and pre-bereaved young people to ensure that it still felt suitable for children and young people. Sarah, GP: Ben is three and is very sick with a serious illness. Emily is his big sister, and she is seven years old. 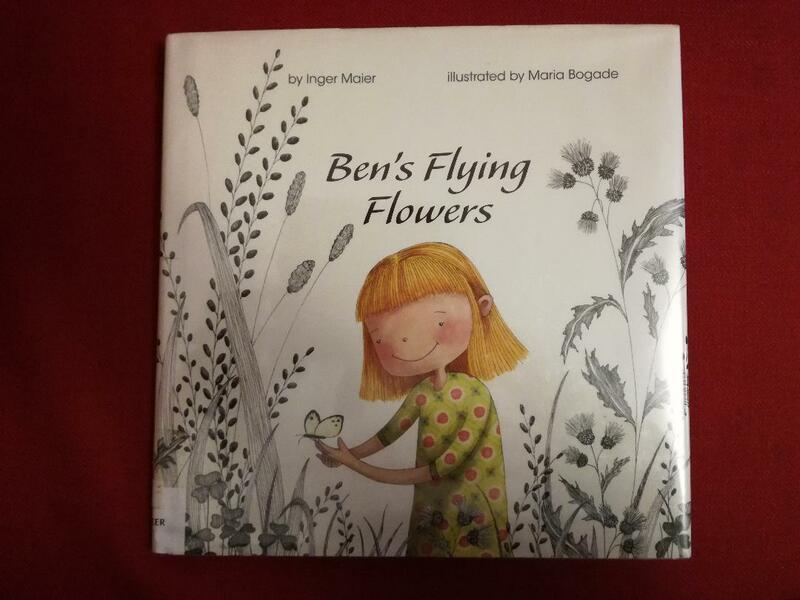 They like to play with butterflies (flying flowers), so Emily makes Ben a butterfly pillow for his fourth birthday and he takes it with him everywhere – his “very own flying flower”. Ben becomes more unwell, sleeps a lot, has to go to hospital a lot and eventually becomes too tired even for hugs. When Ben dies, the family hurt, a lot. Emily feels angry at first, and draws pictures with dark clouds and rain. In time the sad feelings start to grow a bit smaller, but sometimes she still cries and cries. 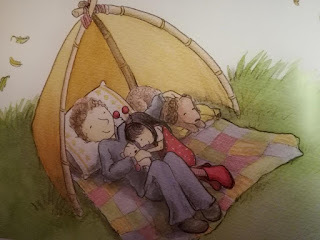 Strategies that help Emily to come to terms with her feelings include snuggles with Mum and Dad and talking to grown-ups. Also published by The American Psychological Association. Clare: What I like about Ben’s Flying Flowers is that the illustrations show normal happy family scenes even though we know, almost from the start, that Ben is already very sick. And it’s set over quite a long time so we get to see the siblings together before Ben dies and we feel Emily's pain, but then over time we see how she starts to come to terms with Ben's death. Sarah, GP: Published by Child Bereavement Charity, this book is designed to help children with the bereavement of a sibling and includes notes for parents. It is based around the death of a child, and describes her sister’s emotional responses, including crying, feeling sick, not being able to sleep and wanting to be far away. Sometimes there are no words that can describe how she feels. There is an emphasis on practical tasks that could help. The family make a memory box and plant a garden on the birthday of the child who has died. Watching the garden grow acknowledges that the child will never be forgotten. Clare: I like this book, too. 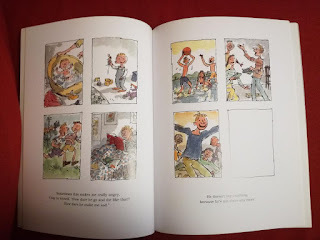 It’s simple and shorter (and smaller) than a typical picture book (and is saddle stitch), set over many years to show how she is able to move on in time. Sarah, GP: This is a helpful book for any child or young person (or teacher) who is experiencing a friend from school becoming unwell and dying. Brodie is sick, but he still likes to draw pictures of planes and helicopters and dreams of becoming a pilot. The class think he will get better, and make cards for Brodie. Brodie tells the child narrator that he might die. Although he manages to return to school, it is not long before he is back in hospital and this time, he dies. The class don’t believe the news at first, but then the teacher starts to cry, some of the class start to cry, some howl, some stare and the narrator says “it seemed I wasn’t crying for Brodie, but for myself because I hurt so much inside”. 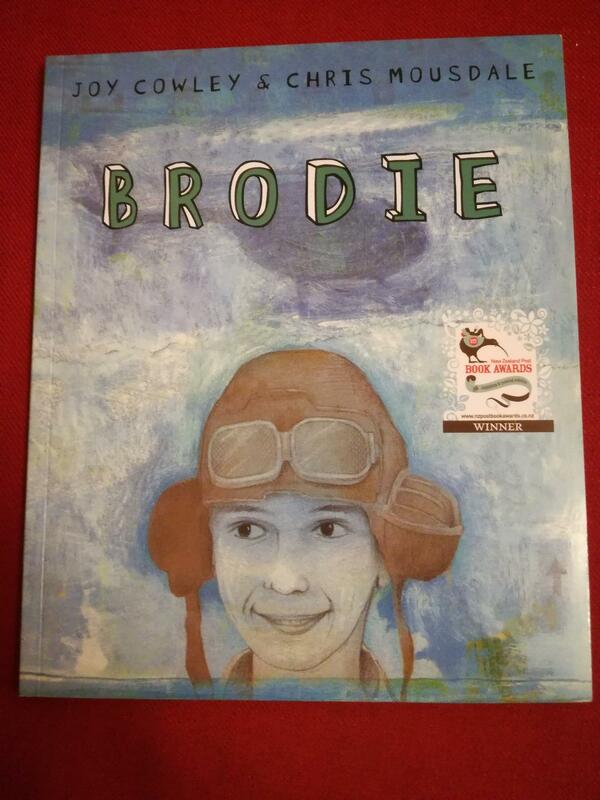 There are a number of theories about where Brodie has gone and an illustration that refers to different religious beliefs. The class write to the family, and although the hurt doesn’t go away, it does get smaller. Clare: This is another book that didn’t come up in early searches and I was really pleased to discover it recently. 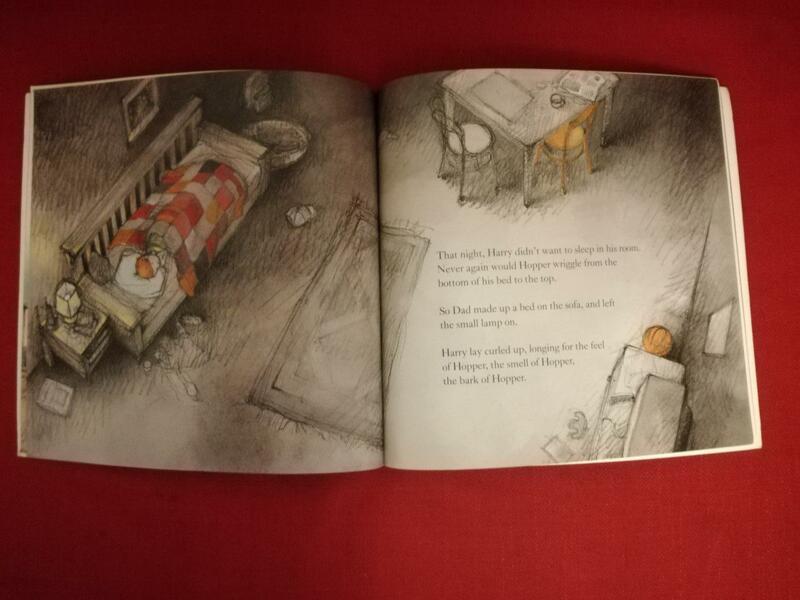 Told in first person (as with the majority of the books we selected that are aimed at bereaved children, rather than a broader market), the story feels authentic and heartfelt, though simple. The illustration style is interesting, too. 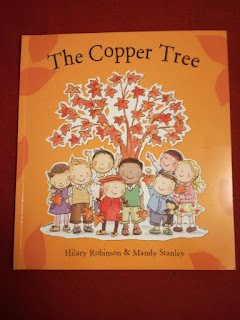 Clare: And if I can just add another practical choice, before we move onto the general recommendations, I’d include The Copper Tree by Hilary Robinson and Mandy Stanley (Strauss House Productions, 2012). It’s a story about a class of young children (probably five/six-year-olds) whose teacher gets sick and dies. 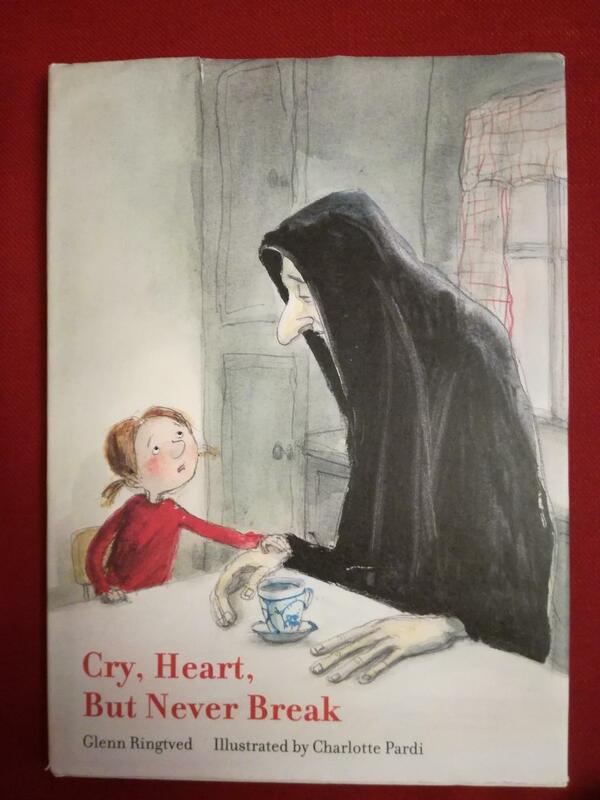 Teachers often play such an important role in the life of young children and I believe that this would be a comforting book to have in schools where a teacher has died. Recommended for children and families whether or not the child is bereaved. 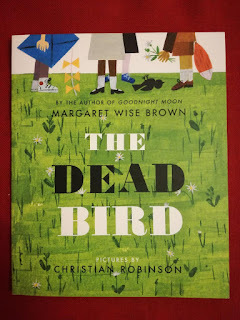 "The bird was dead when the children found it." 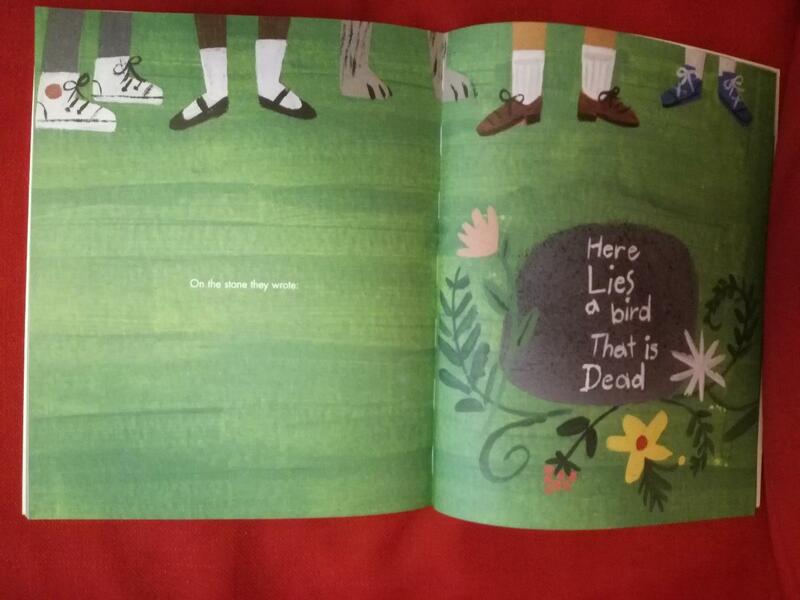 and it tells us how the children gave it a funeral, like adults do. They sing to it and bury it and put flowers on the tiny grave “And they cried because their singing was so beautiful and the ferns smelled to sweetly and the bird was dead. 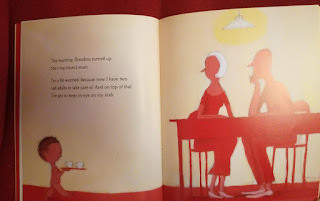 The “every day, until they forgot” is one of my favourite ever lines in a picture book. It’s a wonderful story of death being a part of life, but in an extremely safe setting. 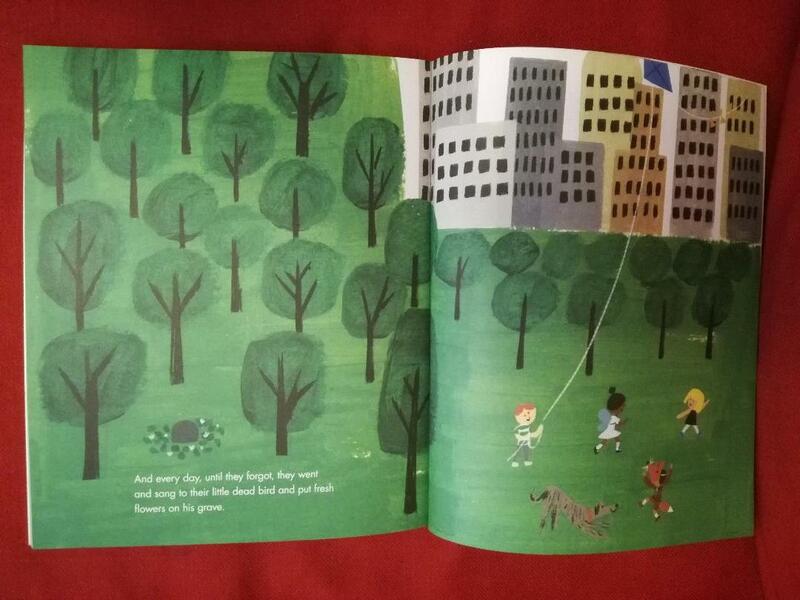 I am very grateful for the foresight of the team who chose to re-illustrate and reissue this book for a new audience. 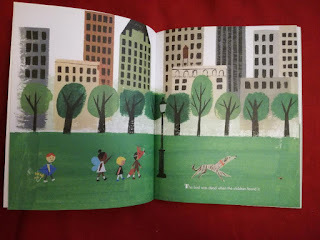 Clare: This has long been a picture book that I love. 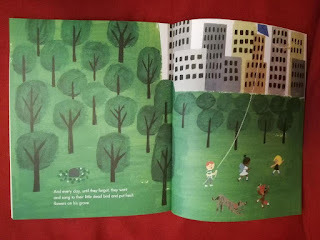 The story is about unconditional love and Small, who is in a bad mood, keeps challenging Large, his parent, about whether he’d still be loved by Large if he became increasingly scary creatures. The response is the same: “Of course,” said Large “[Bug...or Bear] or not, I’ll always love you no matter what”. And at the end, he asks about whether that love would carry on after death… Large talks about stars and how many of the stars we see are already dead. 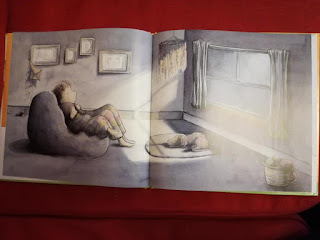 The story finished with "Still they shine in the evening skies, Love, like starlight, never dies.” It’s a beautifully written and illustrated book and shows so wonderfully the power of unconditional love. It’s a book that we put in the grave with my mother when she died (she had read it many, many times with her numerous grandchildren) and it was a real comfort. Note, this is the UK version of the book. In the US version, all mention of death has been removed (as with the board book version). So any Americans who are keen to get hold of it need to order the UK version. Definitely one for adult picture book lovers but also good to share with older children. After the death of his friend, Bird, and some poor advice from his remaining friends, Bear falls into a depression and stays away from everyone and everything for a long time. Eventually, he goes out and meets someone new with whom he can share the story of his friendship with the bird. And after having buried the bird, he is able to move on. This is so beautifully illustrated, and unusual for a picture book, in black and white, with tiny bits of pink added in towards the end, and I think the appeal of this may well be for adults and older children, but I really love it. 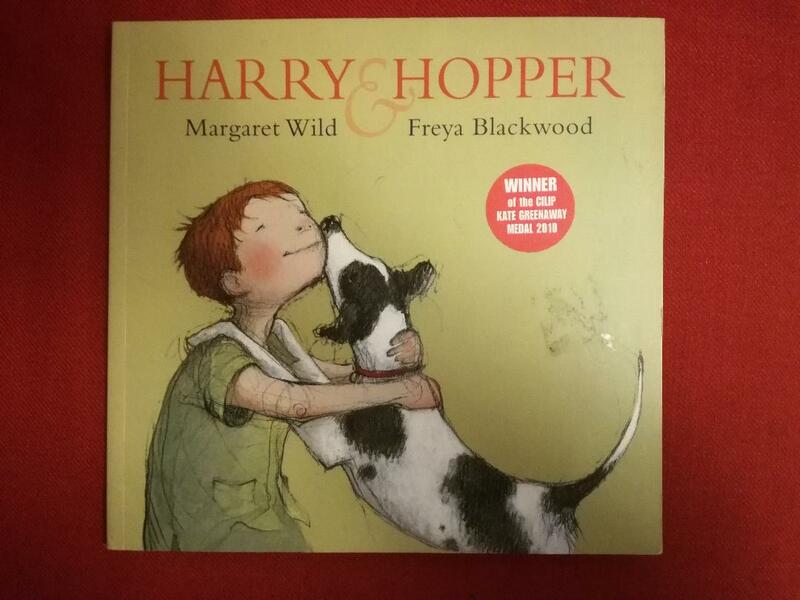 This is a story about Harry, a boy who lives with his father, and Harry’s dog, Hopper. There is an undertone of Harry's loneliness and Harry and Hopper are extremely close. and it takes a while (and some dream-like encounters with Hopper, and a kind, devoted father) before Harry finally starts coming to terms with Hopper’s death and is able to say goodbye. 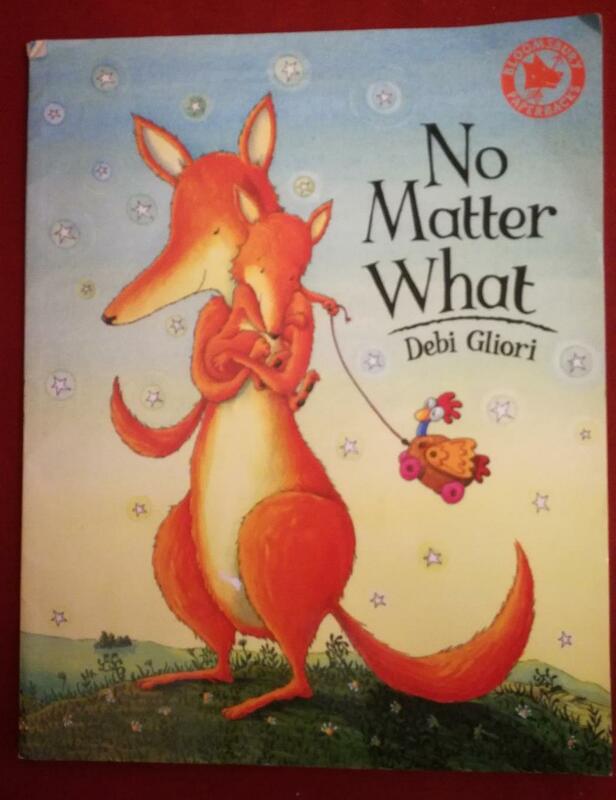 It’s suitable for younger and older children alike, and for those who have experienced the death of a pet and want comforting, and those who just want to read a story and who are open to other people’s experiences. 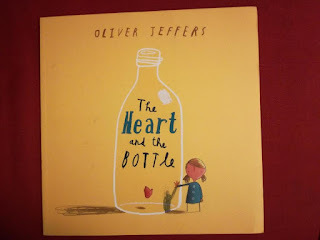 Told in the same, simple, understated way that Oliver Jeffers books so often are, The Heart in the Bottle tells the story of a curious, engaged and loving girl who shuts herself off after the death of her beloved grandfather. Using expert visual storytelling, the grandfather is never even mentioned and yet we see how fear of exposing herself to the risk of being hurt that badly again means that she lives only a half-life (even into adulthood), until she finally lets herself become close to another person, a small, curious child much like her earlier self. 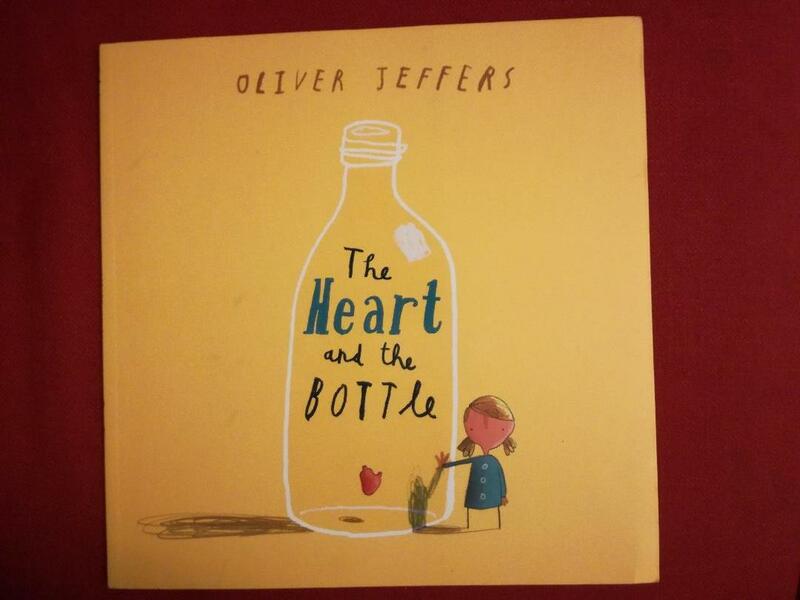 Although the pictures and words are really simple, given the reliance on a metaphor of keeping her heart in a bottle, this may appeal even more to older children and adults (or for younger children who have engaged in discussion about the story with an adult). This unusual and heart-breaking picture book became an almost instant classic as soon as it was out. 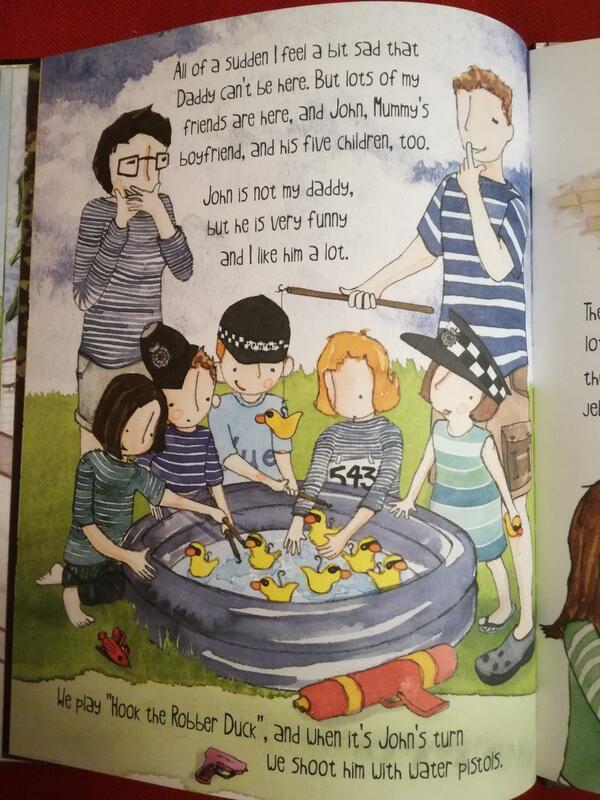 It was written after the sudden death of Michael Rosen’s son Eddie. Quentin Blake was the perfect illustrator for the book, someone who had illustrated Eddie over the years alongside Michael Rosen’s poems about him. 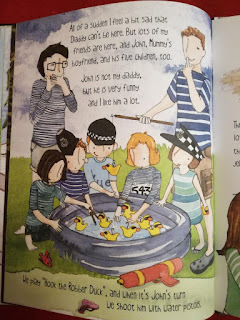 I doubt that Michael Rosen wrote this book aiming it at children. 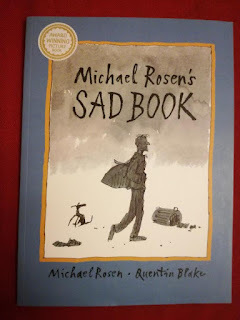 It is at times bleaker than almost any picture book I’ve read, and the ending feels bleak, too, almost unheard of in picture books. It is certainly not without hope but it is a very honest and shockingly personal adult account of the utter desperation felt after a terrible bereavement. It is hard to read this book as an adult but that should not put anyone off. And likewise, it should not put people off sharing it with an older child. It would be worth reading it carefully first before sharing it though, so you are ready to discuss any aspect of it that might come up. 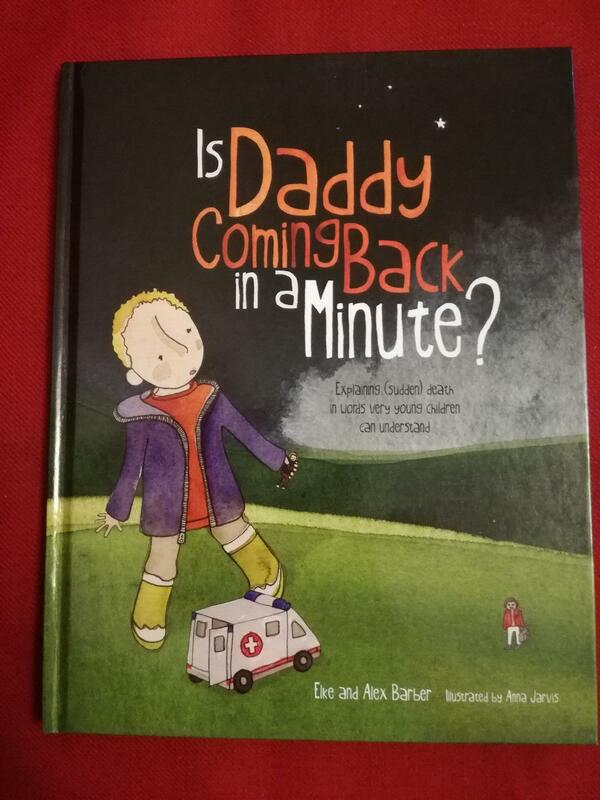 I think it could be extremely useful to read it with an older child who has experienced a parent going through bereavement so that they can talk about how bereavement affects adults as well as children. and although it’s written in the first person, the voice sounds older and more sophisticated than a boy of his age is likely to sound. But I am totally willing to suspend my disbelief on this count because of its beauty and the powerful atmosphere it evokes. 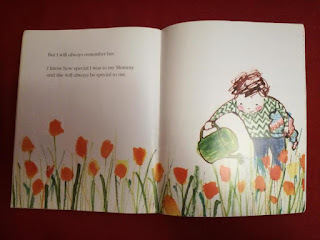 As with some of the other books, I feel that it is one that adults in particular will be drawn to but I would still recommend it to an older bereaved child (to be read with an adult) as there is definitely a feeling that things will, in time, be ok for them and that they will make it through, together. Clare: Some books we didn't include even though they could be useful after a bereavement. There are wonderful books that tackle depression or isolation which could be interpreted as being in the wake of a bereavement. For example, I've always assumed that 'The Storm Whale' by Benji Davies is a book about bereavement and it shows beautifully the isolation and parental depression that can follow bereavement, but it never mentions the death of the mother; it is just clear that Noi lives in an isolated place with his father (the mother may have just left). 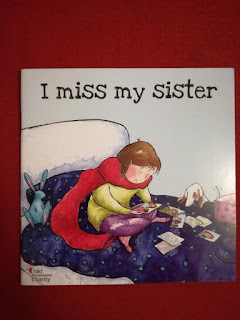 So we didn't include these books (though I would certainly recommend it to children, whether they are bereaved or not). Similarly, there were other books that clearly were about death and coming to terms with it that never mentioned death but only euphemisms (eg 'disappeared'). 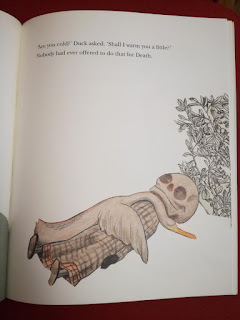 Since we are interested in breaking down the taboo of talking about death, we deliberately chose only to include books that were clearly acknowledging death whether or not the parent reader chose to articulate it. Sarah, were there any other books that you didn't include that you felt would be helpful? 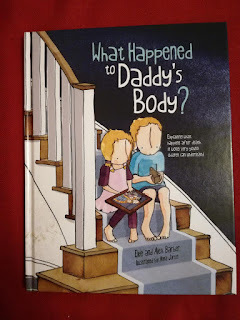 Sarah, GP: There are a number of books that are more practical that aren't really picture books, unlike What Happened to Daddy's Body? which we included and is practical but also a story. 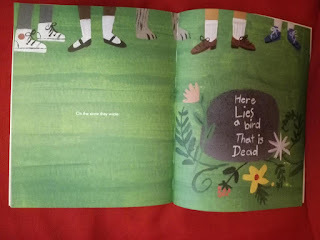 “What Does Dead Mean?” and a workbook entitled “When Somebody Has a Very Serious Illness” are useful resources to help answer questions that children may have. The language is simple and matter of fact. 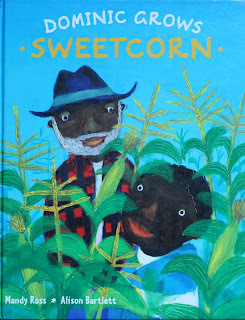 Also, books that I would like to see published are those with illustrations and advice that would be important to people from ethnic minority backgrounds. And so far there are no books about a child dying in an intensive care unit, which is currently the most common place of death for the (thankfully relatively small) number of children who die. Clare: Sarah, thank you so much for joining me in creating this blog post. I've learnt a lot from looking at these books from the point of view of a medical professional. 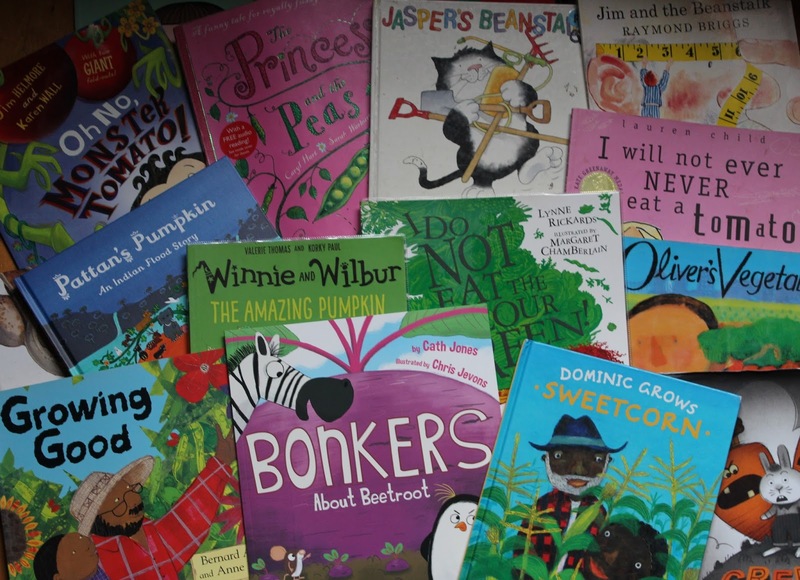 I'm sure that there are readers of this blog who would choose to include different picture books on this list and we'd love to hear from anyone about books that they have found useful. Please feel free to leave a comment, below. Many thanks, Clare and Sarah. 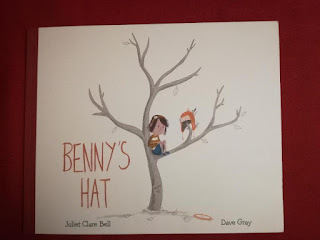 Juliet Clare Bell's latest picture book is Benny's Hat (illustrated by Dave Gray) which follows a young girl, Friz, as her big brother gets sick and then dies. 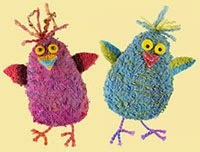 www.pomelopip.com and www.julietclarebell.com. Please note, Dr Sarah Mitchell was not encouraged to include Benny's Hat in the review above. 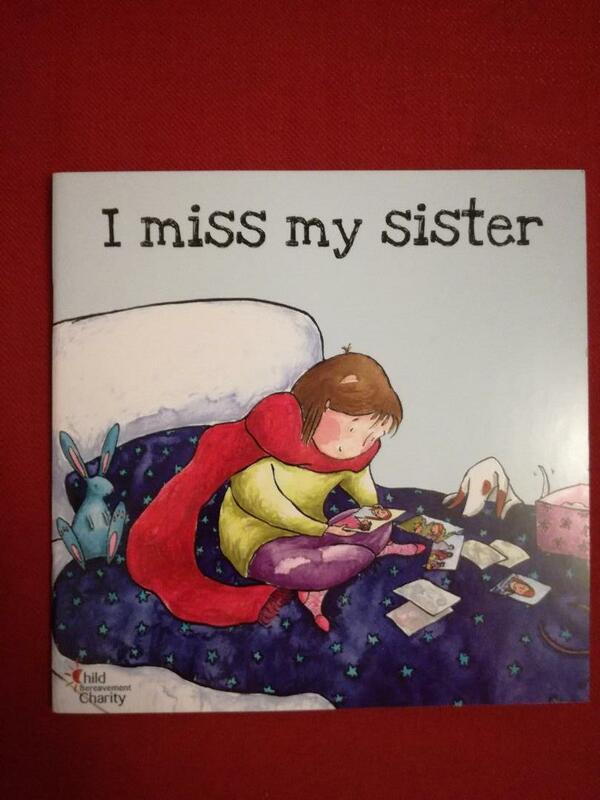 It is one of the books that she recommends to bereaved and pre-bereaved families. Bonkers About Beetroot, is about a group of animals who decide to grow a giant beetroot. Spring is my favourite time of year in the garden. The growing season is just beginning; the greenhouse is filling up with seed trays and seeds are bursting into life. Right now, thousands of people are heading for their allotments! But if you’ve got children along to help, sometimes it can be tricky to engage them in gardening activities, particularly for extended periods. 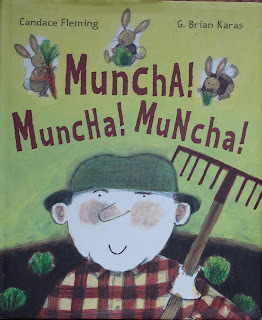 My top tip for keeping kids happy on an allotment is to take the right picture books with you. So when they have had enough of digging holes and they don’t really want to help tidy up they won’t be bored! I used to manage a community allotment and naturally the project’s focus was on children. 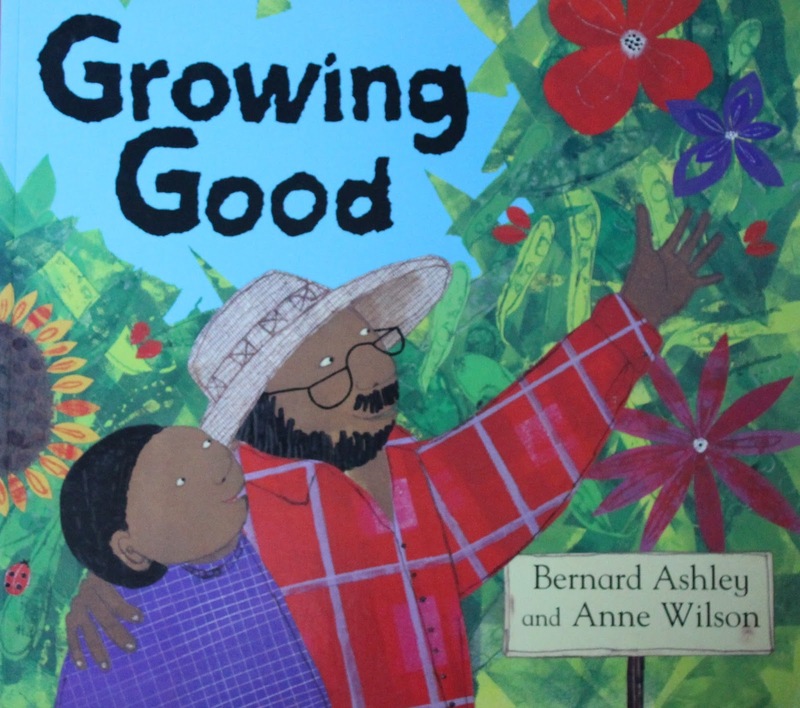 At the end of every gardening session I shared picture book stories with the young gardeners. I tracked down lots of books that featured vegetables or gardening as their main theme. My picture book collection grew and grew, much like our vegetables. And of course it was growing beetroot with the children that inspired my story about a BONKERS beetroot eating zebra! I now volunteer on a local community allotment with a family group and get to share my own picture book with them. 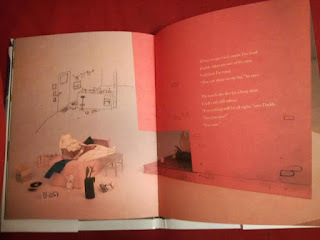 The Giant Carrot by Allan Manham and Penny Dann. I love sharing this one down on the plot. It’s a great one for getting the kids to join in with. Too Many Carrots by Katy Hudson. This has always been hugely popular. 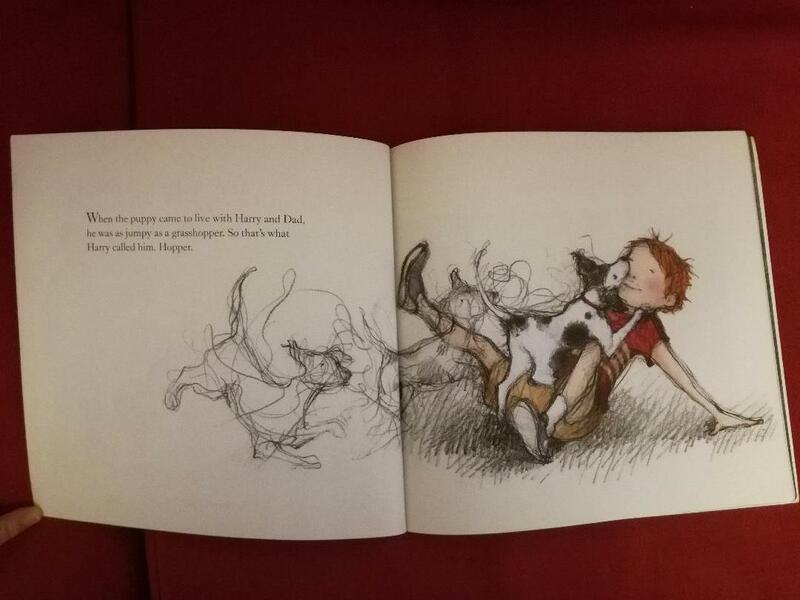 The text is perfect and it’s beautifully illustrated too. 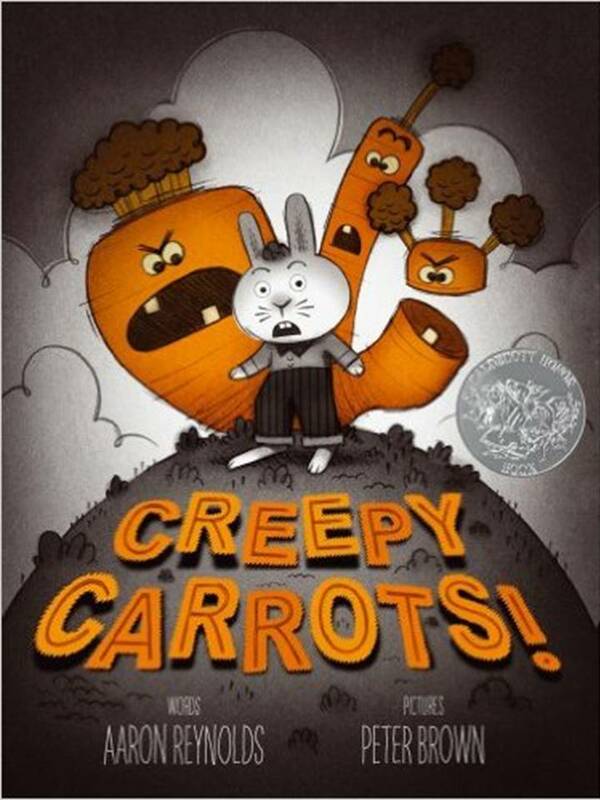 Creepy Carrots by Aaron Reynolds and Peter Brown. This one is great for sharing one to one. It’s a bit scary! It has really fabulous illustration inspired by Hitchcock films. Muncha! Muncha! Muncha! By Candace Fleming and G. Brian Karas. This a delightful story that shows the central character growing carrots and harvesting them as well as defending them! It’s great for joining in with and very funny. 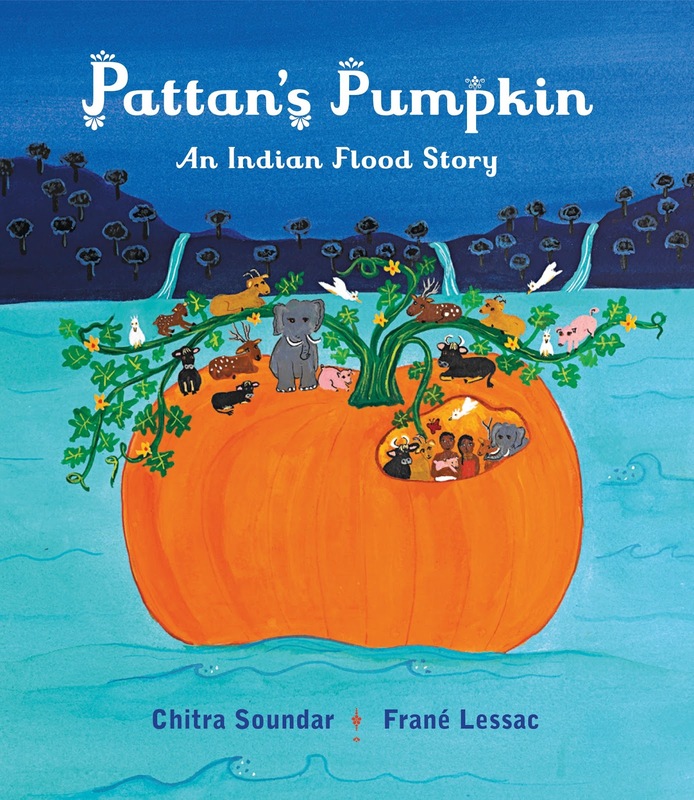 Pattan’s Pumpkin by Chitra Soundar and Frane Lessac. 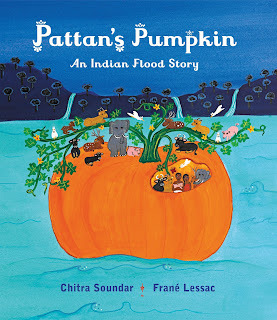 This is a great choice if you are having a competition to see who can grow the biggest pumpkin. 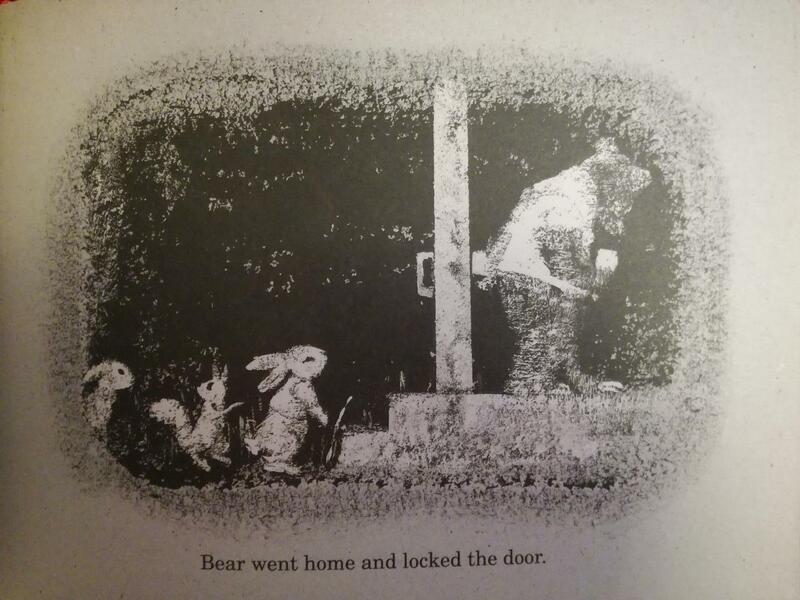 The text is so lovely; it’s a joy to read aloud. 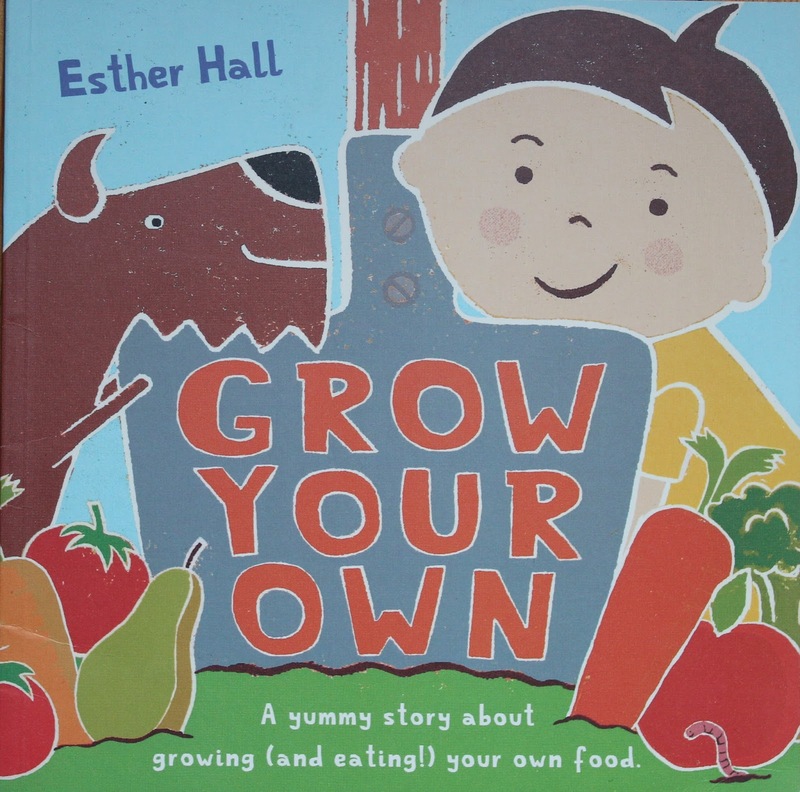 If you are looking for stories that deal in particular with growing food then the following are ideal: Grow Your Own by Esther Hall. 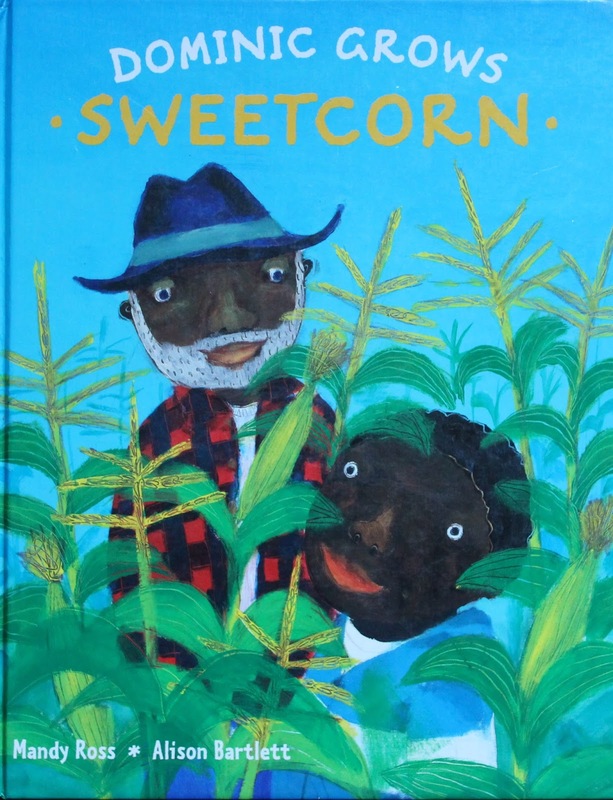 and Dominic Grows Sweetcorn by Mandy Ross and Alison Bartlett. My own Bonkers About Beetroot is also good for showing how to grow seeds. There are many more titles I could suggest but right now I’m heading off to my greenhouse. I’ve got some beetroot seeds to deal with! 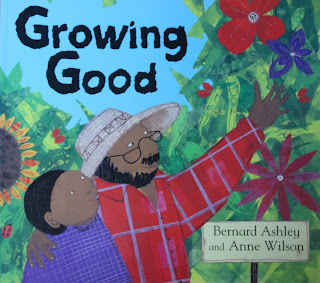 Wishing you a great growing season and I hope the kids in your life will feel inspired by all these wonderful picture books. If I have missed out a book you particularly love to read down on the plot, please do share in the comments section. 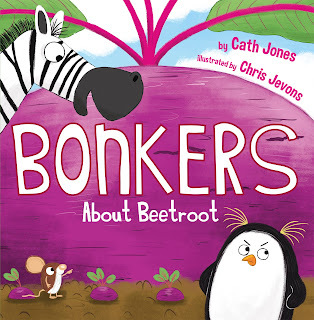 Cath Jones is the author of quirky picture book Bonkers About Beetroot and lots of early and reluctant readers. She also writes junior and middle grade fiction. 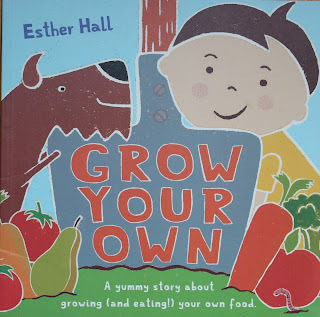 Her whole life has been about books: as a librarian, teacher, editor, community gardener (vegetable story-time anyone? ), and now an author she has always aimed to inspire a love of stories. 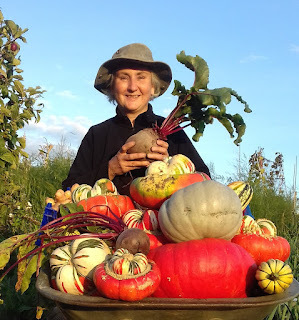 She loves sharing her stories with children of all ages in libraries, bookshops, schools and especially on allotments.